What Causes the Timing Belt Failure? 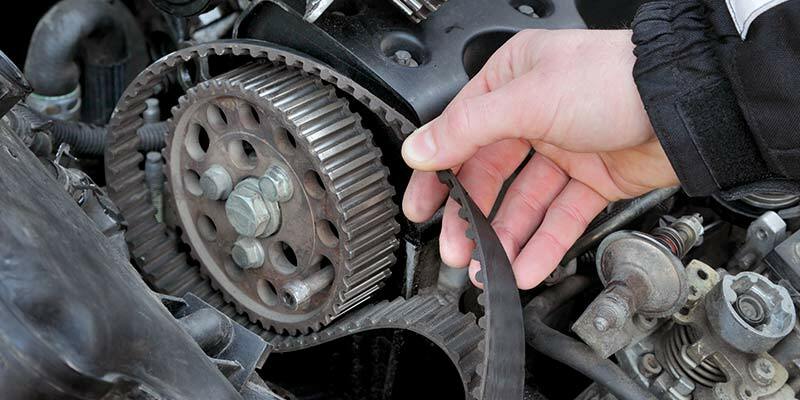 We have compiled a list of causes to what causes the timing belt failure. Carefully inspect the timing belt drives with these issues so as to help you address and fix your drives and preventing the unscheduled downtime. If these causes fail to be addressed, you might want to consider drive belt replacement. This is one of the most common causes of timing belt failure. Extra or uneven tooth wear, tensile failure, and belt tracking is all associated with misalignment. By inspecting and aligning your shafts and timing pulleys, you can raise the life and durability of your timing belts and save yourself of loads of downtime. There is too much load on the belt. If the teeth of the timing belt are wearing off, overloading is the culprit here. Tensile failure and even extra tooth wear is caused by overloading or shock loads, albeit the shock loads are the least likely cause here. In order to address this issue, you will have to redesign the drive by any means. Ratcheting or tooth skipping is the main cause of being under tensioned. This issue is also caused by extra or uneven tooth wear and excessive drive noise, so it is always advisable to use a tension gauge to set the accurate tension on those timing belts. If your drive is vibrating too much or your timing belts are facing excessive belt stretch then it might result in a weak drive structure. Always try your best to reinforce the drive structure and you can fix this problem. Worn or damaged timing pulleys will reduce the belt life significantly. Worn out teeth will cause damage or wear and tear to the belt. Nicks and gouges can easily cut the belt. Inspect and replace the pulleys that are worn out. It is an important thing to note that a timing belt will fail by the loss of teeth which is deemed normal wear and any other failure will be deemed erratic. What Is an Inventory Administration Control System?